Pardon The Punctuation...After watching Taïm on an episode of "Throw Down" with Bobby Flay, it was at the top of my list for Falafel in New York. On a quaint street in Greenwich village sits this mini palace of fried chickpea goodness. A simple and fresh menu with wonderful smoothies make this the perfect place to spot and grab a bite while on a stroll through the village. I recommend the mixed platter which comes with a sample of all three of their falafel flavors on a bed of hummus with sides of Israeli and tabouli. Go there...eat, be merry, and you will return...over and over and over again. 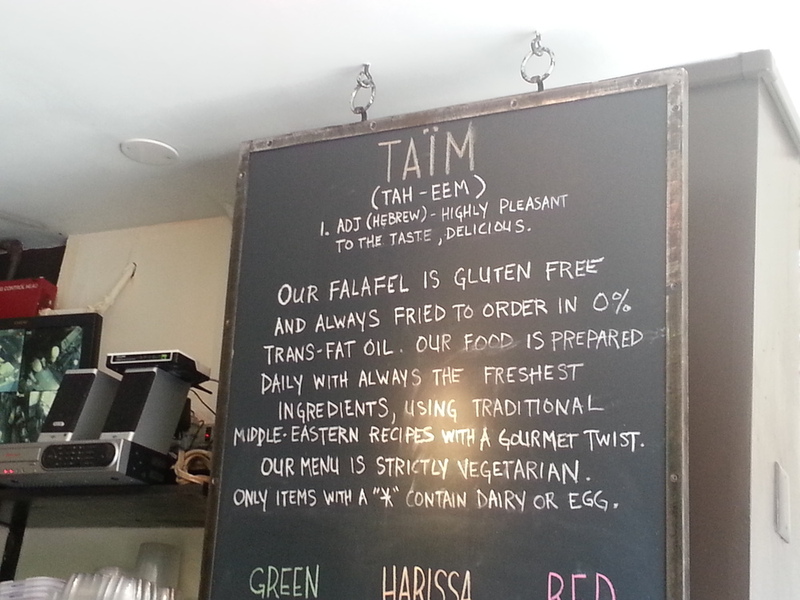 I've had my share of falafel and Taïm is by far the best I've had. A picture is worth a thousand words so I'll say no more. 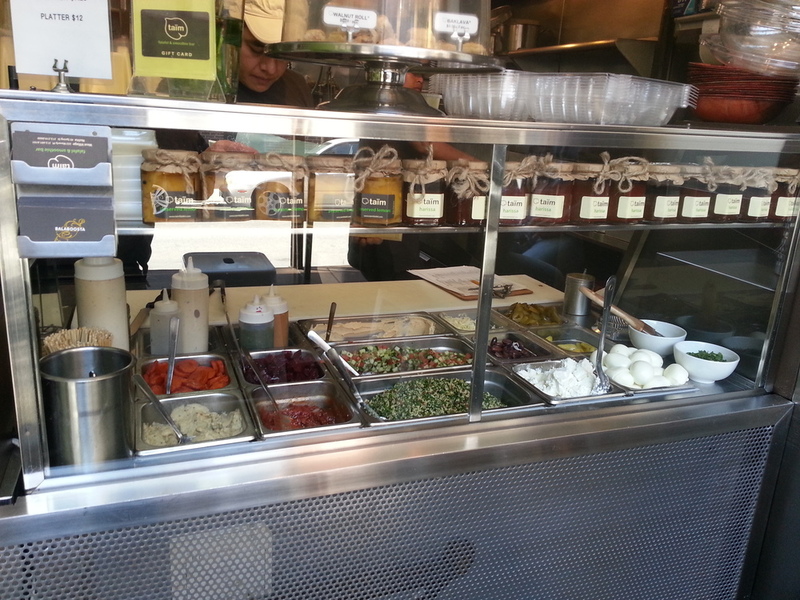 Oh and by the way their falafel is gluten free!